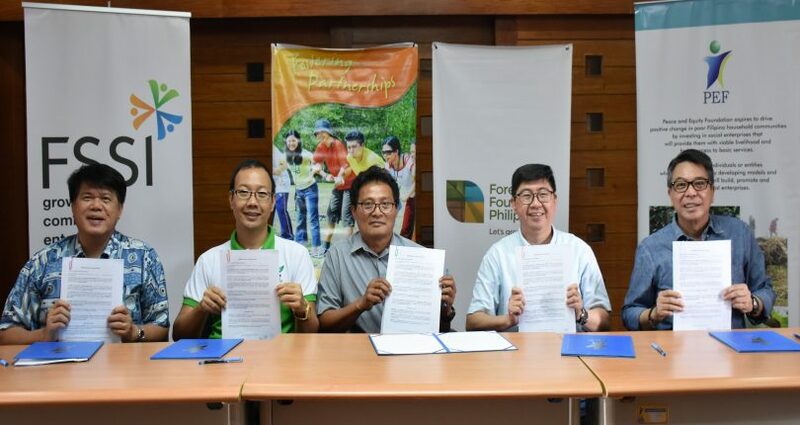 Four funding organizations known as the F4 (Peace and Equity Foundation, Foundation for the Philippine Environment, Foundation for a Sustainable Society (FSSI), and Forest Foundation Philippines) ink partnership with the Palawan Center for Appropriate Rural Technology (PCART) for the conservation of the Northern Palawan Corridor (San Vicente-Taytay-Roxas Forest Block and Cleopatra’s Needle). 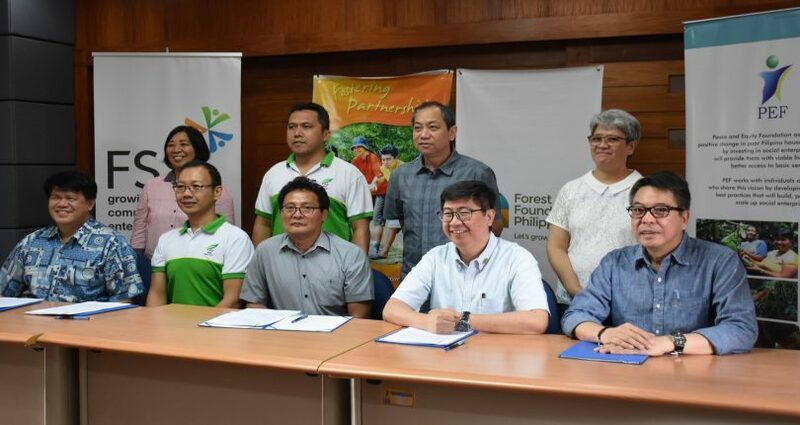 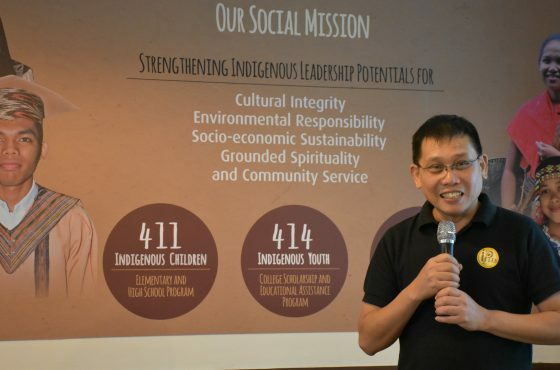 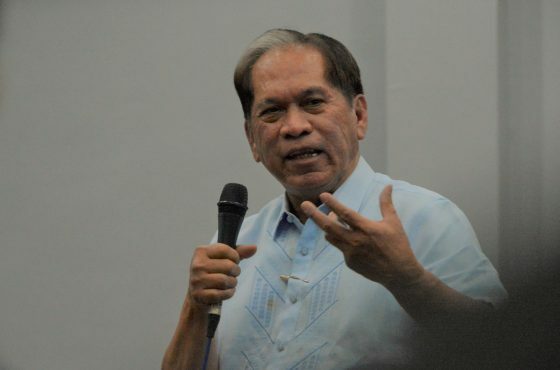 The project hopes to establish protected areas and provide sustainable biodiversity-friendly social enterprises to the communities in Palawan. 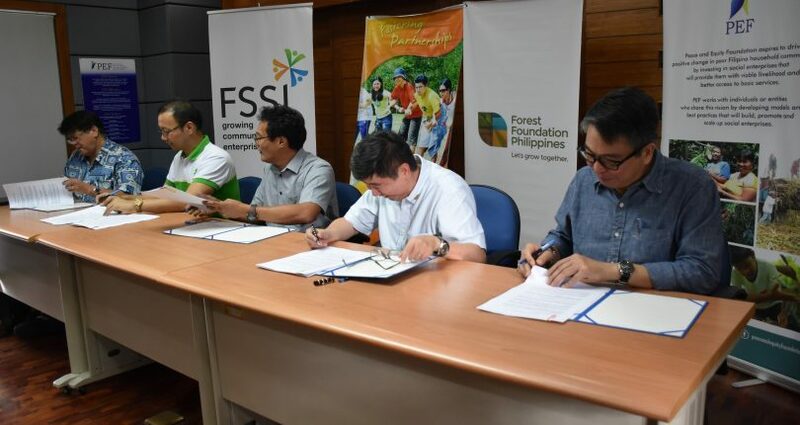 Present were Roberto Calingo (Peace and Equity Foundation), Oliver Agoncillo (Foundation for the Philippine Environment), Sixdon C. Macasaet(Foundation for a Sustainable Society, Inc.), Jose Andres Canivel (Forest Foundation Philippines) and Laurence Jose Padilla (Palawan Center for Appropriate Rural Technology). 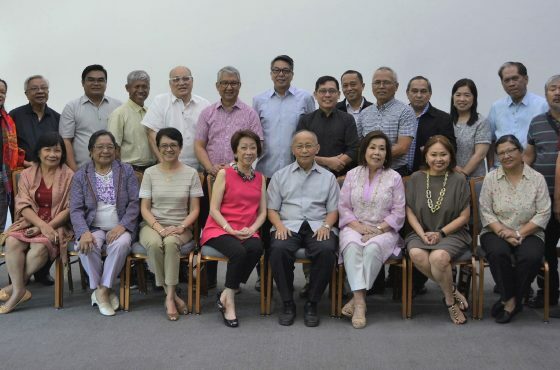 The MOU signing was also witnessed by Oman Jiao (Association of Foundations) and Wilma Guinto (Peace and Equity Foundation).